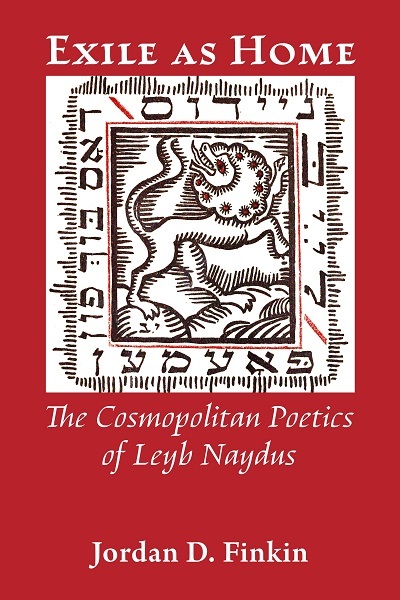 Leyb Naydus (1890–1918) expanded the possibilities of Yiddish poetry via his rich cosmopolitan works, introducing a wealth of themes and forms seldom seen in that language, including some of its first sonnets of literary merit. A devotee of European Symbolism, Naydus’s poems shimmer with his love of nature, especially that of his native Lithuania. His ground-breaking poetry explores classicism, exoticism, eroticism, Orientalism, and Judaism with equal verve. Naydus’s work adds to our understanding of the creation of a major literature in a minor language. Indeed, this book shows how the poetics of minor-language literatures innovate simultaneously from within and without, and how those interactions can offer even greater creative possibilities than the major-language literatures with which they were in conversation. Naydus’s unique body of work not only expanded the repertoire of Yiddish poetry, but also cemented Yiddish’s place on the world literary stage, convincing young Yiddish writers that this was a language that could fulfill their artistic aspirations. Literary critic Naftoli Vaynig’s lengthy essay on Naydus, written in 1943 in the Vilne Ghetto, makes a remarkable case for why the poems of this cosmopolitan aesthete, who died so tragically young, should serve as a fitting emblem for a culture threatened with extinction. Finkin’s Exile as Home, published here with a translation of Vaynig’s essay, Naydus Studies, extends that argument. Jordan D. Finkin is Judaica Librarian, Klau Library, Cincinnati, Hebrew Union College-Jewish Institute of Religion.